Many organizations have deployed rugged devices for years. But with the next generation of smartphones, the previously dominant enterprise ruggedized PCs may be on their way out. 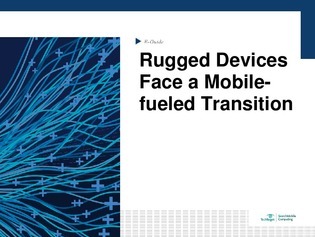 This expert guide examines the issues with ruggedized PCs and how smartphones will eventually dominate them, as well as how to simplify the IoT device development process for personal and industrial safety in rugged environments. Additionally, you’ll get a glimpse at how mobile device costs are influencing the growing demand for hardware-as-a-service and how Panasonic is capitalizing on that demand. Continue reading here.